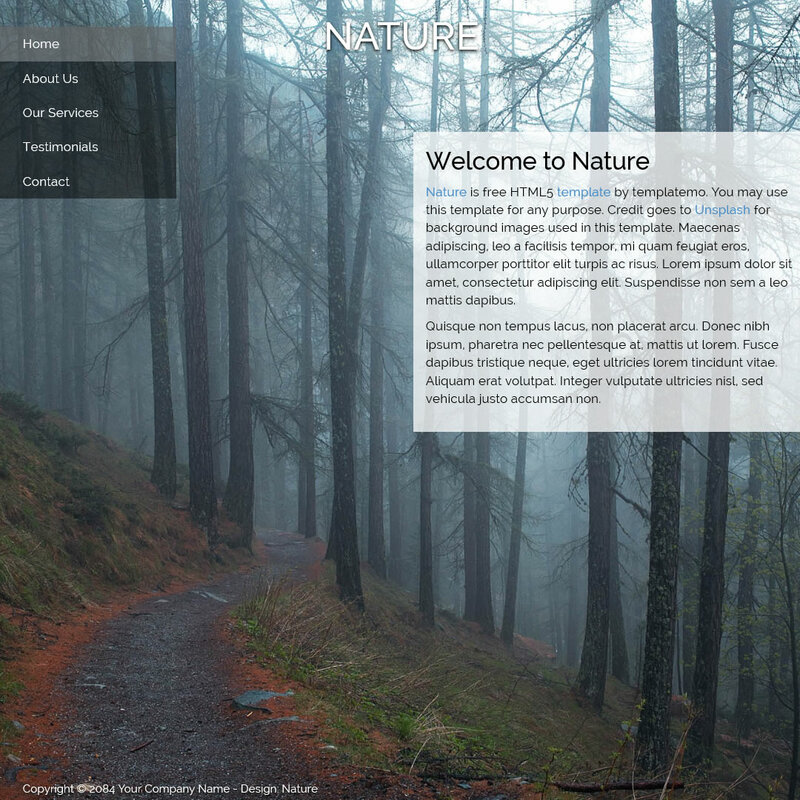 Nature is free HTML5 website template with fade in-out full background images while content box flows in from the right side. 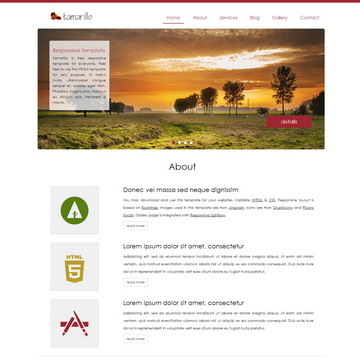 Tamarillo is free HTML5 template and all sections are organized in one-page design. 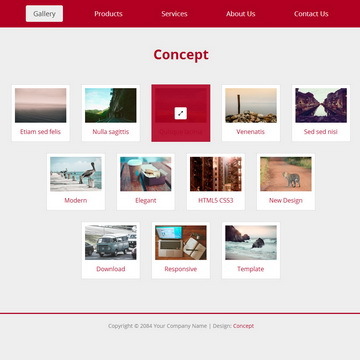 This CSS3 layout is compatible with all devices. 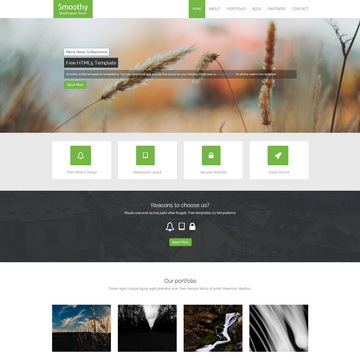 Smoothy is one-page HTML CSS layout based on Bootstrap. 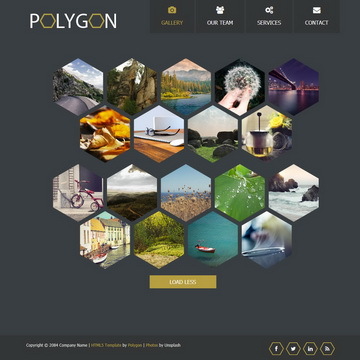 It features homepage image slider effects and fast scrolling of the page. Nature Template is licensed under Creative Commons. Permissions beyond the scope of this license is available here. You are allowed to download, edit and use this Nature HTML CSS layout for your commercial or non-commercial sites. Please share Nature Template to your friends. Thank you.